Postmarks (sometimes called cancellations) are marks on stamps and envelopes to indicate that postage has been paid by the sender and to stop their being re-used. Postmarks always include the date and where they were received or sorted by the Post Office. The mark has important legal consequences and is an acknowledgement by the postal service that they will be delivered to the addressee and not returned to the customer. Postage stamps and first day covers are often collected as a hobby but it is Box postmarks that former Box resident Eddie Weeks collects. He has sent us a considerable number of early examples and explains their part in Box's history . Before the Penny Black stamp on 6 May 1840 there was a long history of sending letters through the Royal Mail via mail coaches (devised by Ralph Allen of Bath) and even on mail trains after 1830. The letter below was dated 3 December 1838 showing (below left) the stamp of Chippenham Penny Post, identifying it as local because of the district stamp No 9 of Box. The actual letter (below right) was signed by David Rice Pinchin, the man who founded the Box Brewery. 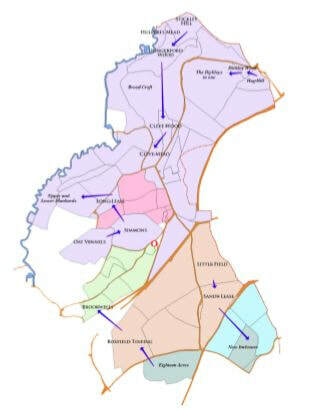 It is a remarable survival of the early years of life and taxation in Box's manufacturing industry. Various different stamps were used at Box. A single circle, hand stamp was used between 1860 and 1876. 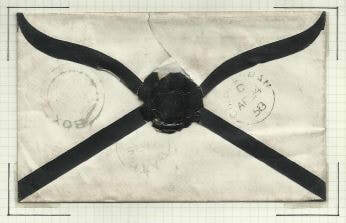 The cover below left dated 17 March 1870 from Box to Corsham was back-stamped both Box and Corsham on the reverse. The cover below right shows a Box to Chippenham cover dated 25 August 1876 with a slightly worn hand stamp on the reverse, which was replaced two months later. 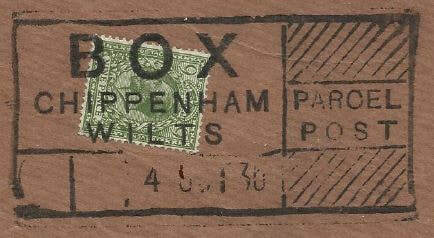 We know about the replacement because a new stamp was used after 1 November 1876, as shown in the cover below from Box to Chippenham showing a single ring, hand stamp with the word BOX around the top, dated 23 September 1879. On the front was a Penny Red stamp, which was cancelled in Chippenham. The Box postmark was changed at regular intervals. A new hand stamp was introduced in Box in July 1881 with a squared circle design. The cover below sent to Box was re-addressed to the Bath Stone Firms headquarters in Bath. 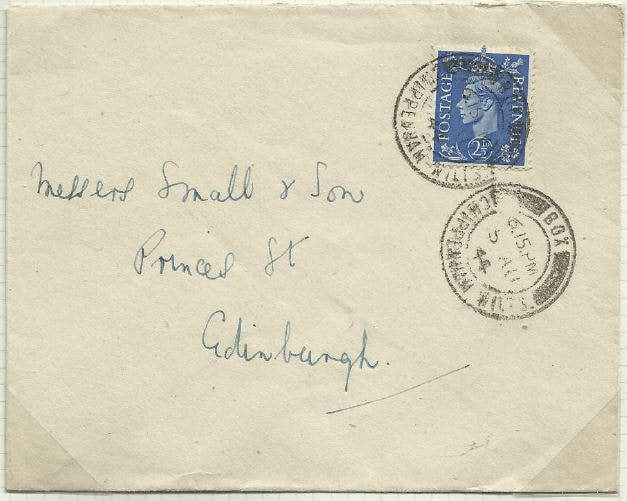 A double ring, cancel stamp was introduced in 1904, as seen in the letter covers below. Left: from Box to Billingshurst dated 2 December 1905 and Right: a registered envelope from Box to Chippenham dated 30 September 1904. 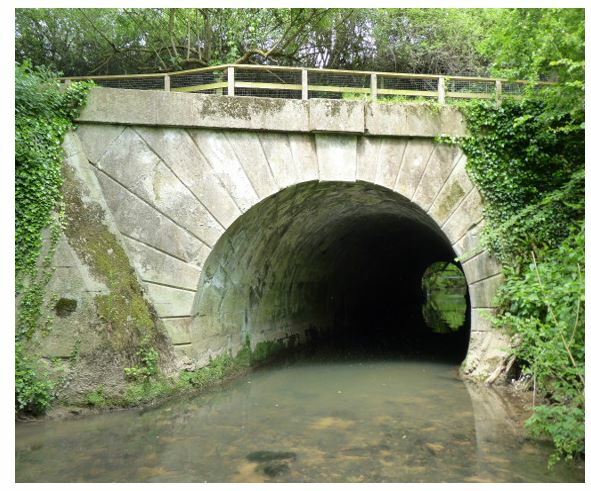 Because of the railway connection, Box achieved a significance beyond its size. Even when the railway was not involved, mail could be routed via Box Post Office, such as this cover dated 4 December 1905 from Colerne to Malmesbury. Under the control of the Fudge family, Box Post Office moved from the Market Place to its present site on London Road a few years before 1901 in order to have more room. The sorting office was at the back of the Post Office building, large enough to accommodate a dozen employees. If the the Box stamp was mislaid or damaged, staff might use a skeleton (temporary) hand stamp for a few days for both national mail (below left from Box to Surrey in September 1913) and international mail (below right from Box to USA September 1927). 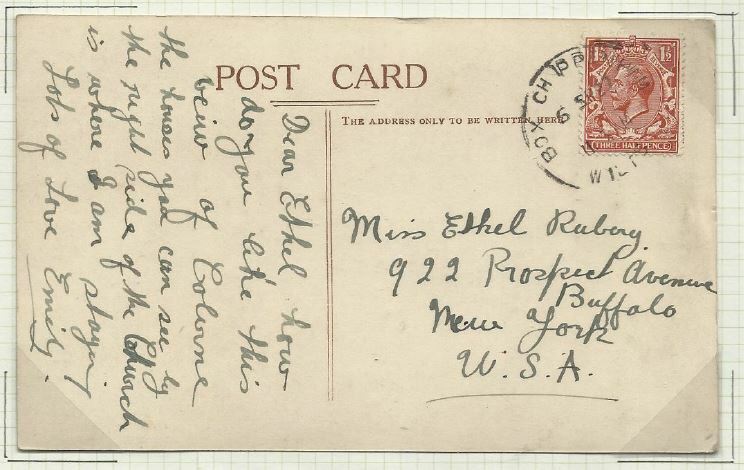 Mail posted at Box Sub Offices such as Ashley would handstamp the mail handed in over the counter as shown in the example below left in 1912. The amount of checking required to confirm that the franking was adequate required a considerable number of trained staff in Box Post Office. The "3d to pay" hand stamp on the 1925 cover below right was applied at Box, possibly a counter hand stamp as the Box stamp was not applied. Local hand stamping could be error prone as the spelling mistake below left shows on a stamp of 2 June 1931, compared to a corrected stamp on 11 June 1931 right. The cover right shows a double ring cancel with thick black lines which was used between 1934 and 1952. 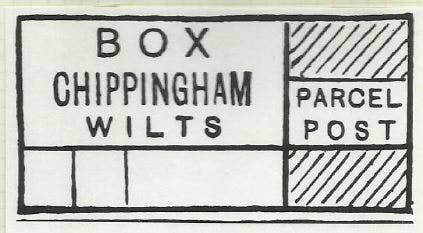 This Box to Edinburgh cover is dated 5 August 1944. The photos below show a Box to Tarragona cover dated 30 July 1967. The marks show that the envelope went from Box to Corsham, then cancelled by Chippenham on the same day, followed by London a day later. The function of the Box Post Office has changed totally since the years when it was a recognised player in the clearance of mail, a cog in a national and international service. No longer is mail accepted and cleared through Box local postmarks. Yet something still remains of its importance with the receipt of mail through a separate counter by which the Post Office acknowledges its responsibility with a separate desk area and staff. Thank you Eddie for allowing us to enjoy your wonderful postal marks. If any reader has any similar items Eddie would be very pleased to hear from them.